The journey to begin the process of cochlear implantation is an exciting prospect. When your audiologist tells you there may be hope to regain hearing and comprehension, the potential seem limitless. Amongst the excitement and new possibilities, the process of cochlear implantation can be overwhelming, and it’s not a decision to be made overnight. My first step after making the decision to move forward with implantation was to learn about how cochlear implants work – not a deep technical perspective, just an overview such as can be found in the videos on the manufacturer’s web sites. In particular, I was interested in understanding the differences between cochlear implants and hearing aids. The first step to any decision is to research every possible outcome. Brand packets in hand, I meticulously combed through each one hoping to have one company stand out over the other. But unfortunately, all three brands look like they offer similar implants, with very small distinctions between them. This was where I decided to hit the pavement and go straight to the sources. My audiologist was kind enough to get me in contact with representatives and implant recipients for Advanced Bionics, Cochlear, and MED-EL. I set up meetings over coffee, chatted via email, and took voluminous notes throughout the process. I truly felt this made my decision easier, as I was able to discuss and listen to first hand experiences: the good, the bad, and the ugly. I qualified for a cochlear implant in both ears, but I decided to only implant one for now as I can still use a hearing aid in the other ear. Many cochlear implant recipients are bimodal, meaning that they use one cochlear implant and one hearing aid. While you can use any hearing aid with a cochlear implant, they really are different devices, and process sounds differently. Successful bimodal users learn to adapt to the different inputs to each ear. Sister companies Advanced Bionics and Phonak recently introduced the Naída bimodal hearing solution, consisting of a cochlear implant with a Naída CI Q90 processor, and a Naída Link hearing aid. The sound processing technology is the same for both instruments. And the volume behavior (the way the loudness is adjusted automatically) is also the same. My hope is that this will make the transition to becoming a bimodal user as effortless as possible, and that it will provide me with the best bimodal hearing experience. One nice feature available now is that when you change program or volume by pressing buttons on either instrument, both instruments respond, and you can hear the beeps in both ears. Also, you can stream sounds to both instruments using a ComPilot or a Roger Pen. Some new features are coming soon that will make the Naída Link system even more integrated. I look forward to programs such as DuoPhone, where you hold the phone up to one ear, and the sound is streamed wirelessly to the other, so you hear it in both ears! And StereoZoom uses the mics on the two instruments together to make a super-tight focus directly in front of you – perfect for noisy restaurants! Needless to say, I made the decision to go with Advanced Bionics because of all the features for bimodal users like me. With both the Link and implant, I am able to hear sounds that I haven’t heard since my hearing loss began (including my cat’s incessant meowing which I’m not sure I missed…). I’m able to capture wonderfully clear sounds and speech with just the implant itself, but the addition of the Link adds such a richer sound to my surroundings, adding a more natural tone. I can carry on conversations in restaurants with ease, hear my boyfriend calling me from another room, and even talk on the phone with the T-mic or my Roger pen streaming into both ears. It’s astounding how clear I am able localize sounds through these intelligent and cohesive devices; two ears are definitely better than one! 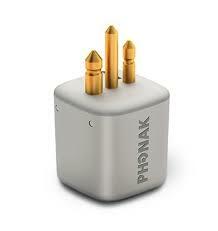 Going forward, I can’t wait to see what additional features Advanced Bionics and Phonak will offer bimodal users. Jessica Lewis is a twenty-two-year-old recently hired pediatric oncology RN. Her hearing loss started in 2014 warranting the use of bilateral hearing aids until becoming a cochlear implant recipient in 2015. She was implanted June 30th, 2016 and activated on July 14th, 2016 and received her Naida Link a week later. She currently resides in Jacksonville, Florida where she hopes to not only change the lives of her pediatric patients but also advocate for the deaf/hard-of-hearing community she so closely relates with. She strives to pave the way for awareness and recognition of this community in introducing new technology and communication techniques through her experiences both medically and professionally. Advanced Bionics (AB) and Phonak announce the introduction of the new Naída bimodal hearing solution featuring the Phonak Naída™ Link, the world’s first hearing aid offering full-bandwidth, bidirectional audio streaming with the Naída CI sound processor from AB. Using shared technology co-developed by AB and Phonak, the Naída devices are able to communicate with each other in a way no other hearing aid and cochlear implant combination can match. Bimodal features may include functions such as DuoPhone, in which you hold the phone up to one ear, and hear the sound in both ears. 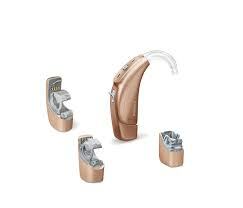 The direct communication between the cochlear implant processor and the hearing aid may also allow you to change program or volume on both instruments by pressing a button on either one of them. Currently these types of functionality are only available for bilateral Advanced Bionics cochlear implant users, or bilateral Phonak hearing aid users. 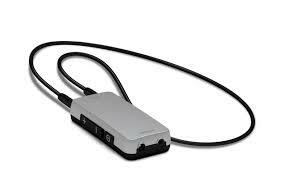 About half of all cochlear implant users are bimodal, meaning one cochlear implant and one hearing aid. These users will be able to take advantage of features previously available only to those with two cochlear implants or two hearing aids. No intermediary device required! Connect directly to the Phonak DECT phone, or use the Phonak EasyCall to connect directly to your existing Bluetooth-equipped mobile phone, and Naída CI Q70 sound processors. Advanced Bionics announces future compatibility with Phonak EasyCall and Phonak DECT Phone. 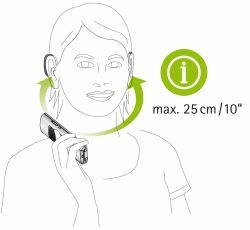 The Phonak EasyCall* accessory is designed to provide universal, discreet, and hassle-free communication with any Bluetooth®-enabled mobile phone. The Phonak DECT Phone* is a cordless phone for everyone that provides an easy-to-use phone option at home or at work. 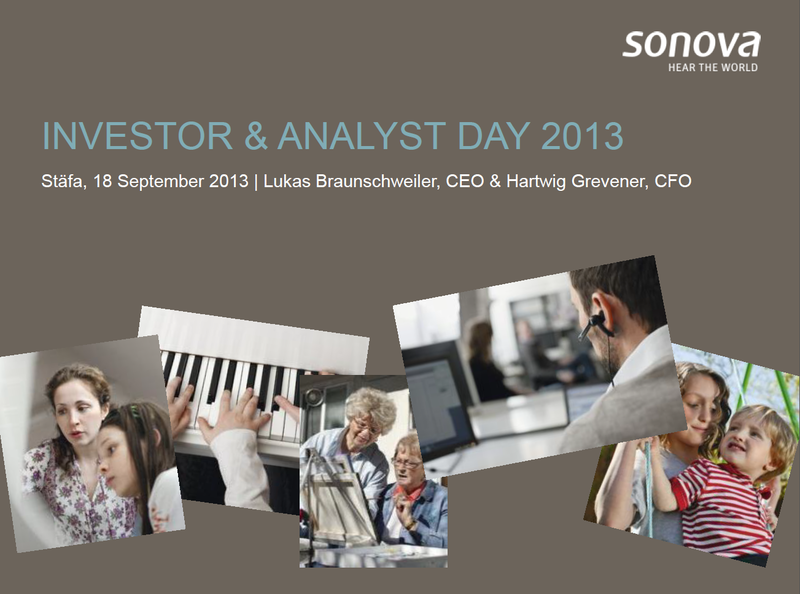 See what Advanced Bionics, Phonak, and Unitron are developing together as members of the Sonova family.